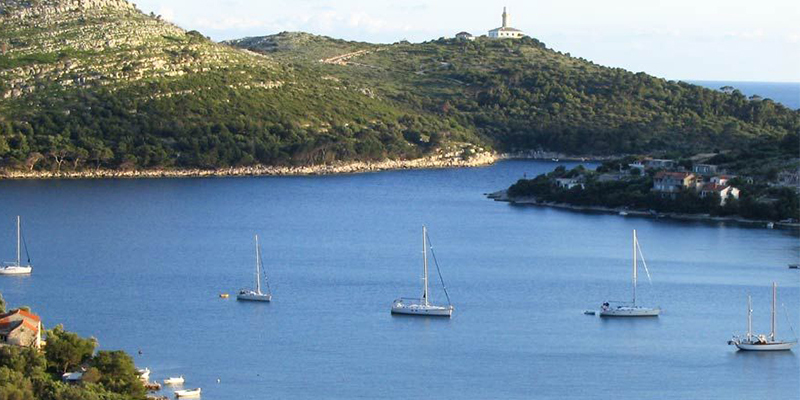 It is not a surprise that a bay on Lastovo island is the one of the most famous and favorite bay to spend overnight with yacht. Lastovo is one of the most secluded islands in Croatia, so the safety that Skrivena luka offers is even more appreciated. Sheltered from all winds, this bay is ideal to hide in any weather. Entrance to the bay is marked with lighthouse of Struga on the right side and the light on the cape Strazica situated to the left. Often overlooked because of so many other attractive places on Vis and Bisevo islands, Bisevska luka is truly a gem among the secluded bays. With its beautiful sandy beach, lack of crowdedness, family beach bar and restaurant, Bisevka luka (also called Porat) is a great place to spend overnight. It is well protected from all winds except those coming from the west. 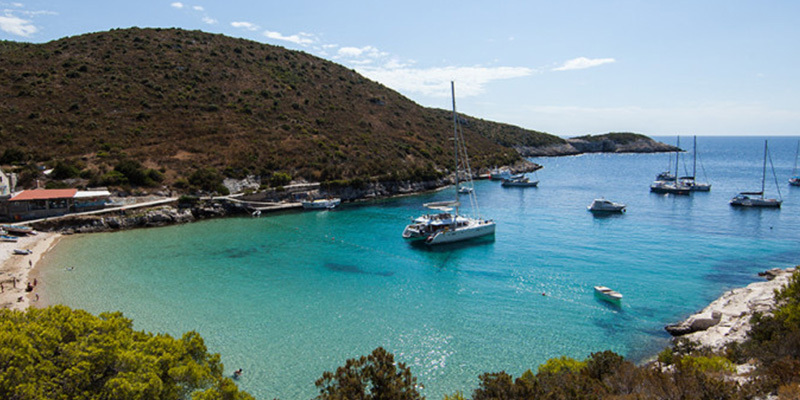 If you are chartering the yacht in Croatia from one of the marinas around or in Split, Bobovisca bay is probably the best bay to spend first or last night of your charter. Only 10 nautical miles from Split, it is a bay not to miss. 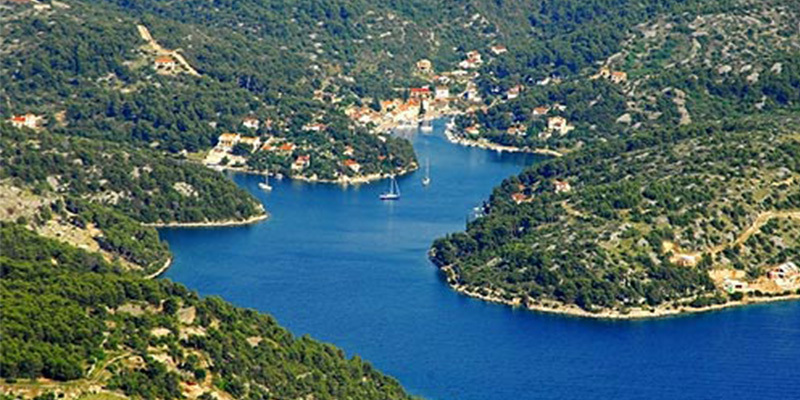 Bobovisca bay is divided into two separate bays. You can find mooring buoys in one, and mooring facilities in other. However, the bay is big enough to anchor the boat by yourself.